The Central Control Unit (CCU) is the heart of the OptoSniff® system and houses the main optical and electronic components. The system is designed to use standard 19” rack components and would typically be housed in a small to medium floor standing cabinet. 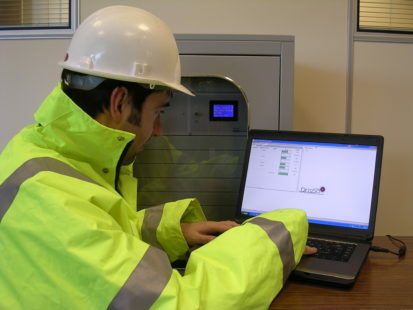 The control unit is intended to be housed in a site office or control room, remote from the gas sensing areas where it can be used to control alert and alarm conditions in response to any gas readings. – The sensing network can be extended to include >200 sensor points.